Android mobiles are a best choice for everyone today because of cool operating system and so many different types of application availability. So users can enjoy everything on their android mobiles. Sometimes while using android mobiles people faces issues of locking their phone. That means sometimes users lock their phone and forget password that time is really very bad because they can’t do anything with their phones without unlocking it. 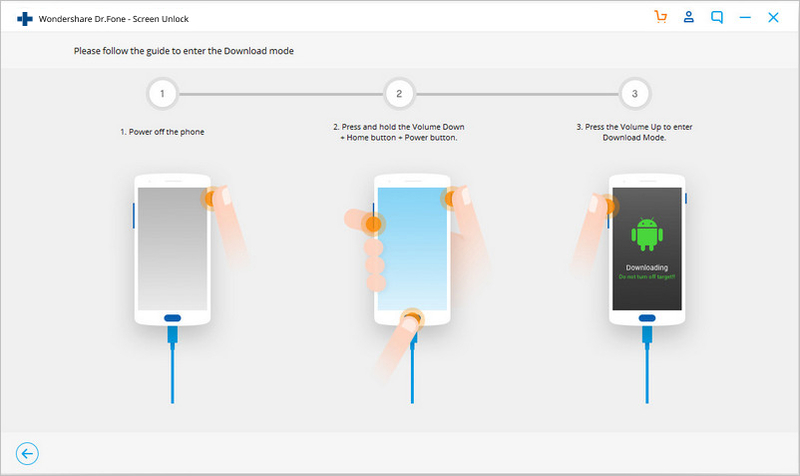 There are different types of ways available to unlock your android mobile some way allows you to unlock your phone by hard reset which is really very bad because you will all available android mobile data by this method but some method allow you to unlock your phone without losing data like Wondershare dr.fone - Unlock (Android). We are going to tell you all different way through this article. If you have locked your android phone and forgot pattern or password or any other type of password then you can unlock it by doing a factory reset of your phone by using hard to reset it. This way enables users to reset all settings of their phone such as passwords, Gmail accounts, wifi passwords messages everything. So users will get a phone like new after reset. That means you will lose all of your data your wifi passwords etc. You can’t get your data back again after resetting by this way. 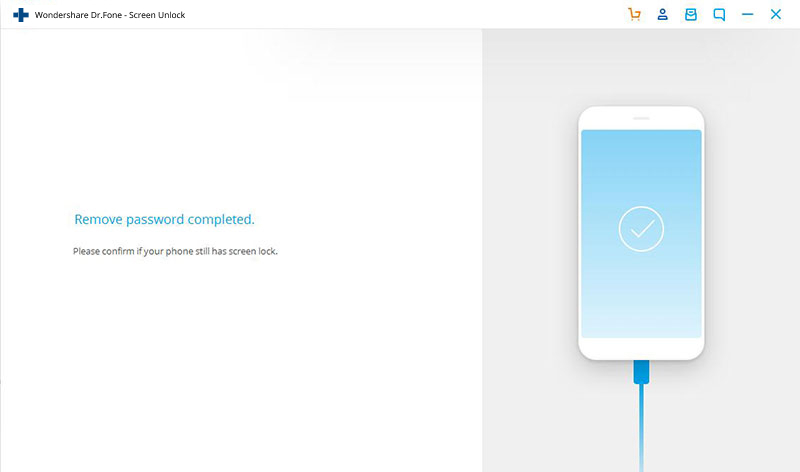 It will not unlock only phone it will wipe all your android mobile data as well. If you are unable to access your phone because it’s locked then first of all power off of your phone. When it’s power is off then you need to press volume down and power key together to enter in the boot screen. Hold these both key for some time together. After some your android mobile will vibrate then you can release both keys. Now you are entered in the recovery mode on your phone. on this screen Choose “Wipe data / Factory Reset” just like the below picture by pressing volume down hard key. After going there press power key to select this option. So many option will open in the next screen now. Now use volume down key and go to option “Yes – Delete all user data” on the menu which is there in front of you. Press power key now to start reset of all setting and your android mobile data. Once you have selected “Yes –delete all user data” it will reset all things and delete all of your data from your phone as well. 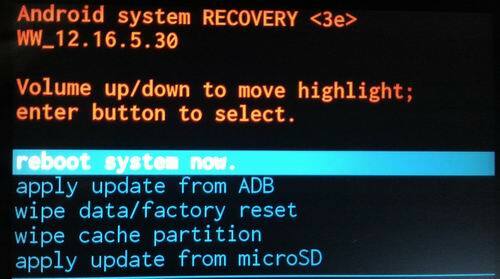 Now select “reboot system now” on the next screen to start your phone. That's it you have successfully unlocked your phone now but lost everything from your phone which you can't get back. Now we are presenting best way to remove password from your android phone without losing any data from the device. Wondershare dr.fone - Unlock (Android) is software available officially from Wondershare to remove forgotten lock screen password from your phone. It allows you to remove all types of passwords from your phone without losing anything. It works for all android devices easily and there is no need of any technical knowledge to use it. It unlock your phone easily when question comes in your mind that I locked myself out of my phone. You just need to do few clicks only to remove password from your screen and your mobile will be unlocked and useful again without losing anything. Unlock phone when you locked out android phone. Unlock 4 types of lock screen pin, fingerprints, password and pattern in few clicks. There is no technical knowledge required to unlock screen with android lock screen removal software. It works for all android mobiles easily and quickly. First of all you need to download and install this awesome software on your computer for windows from the official page of android lock screen removal from the below url. After installing run it on your computer. 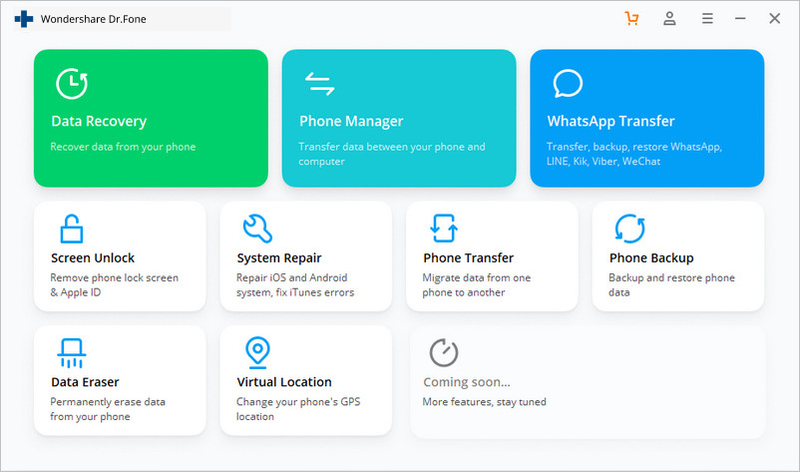 Once the users interface of Wondershare Dr. Fone in front of your click on More Tools and Select dr.fone - Unlock (Android) option. On the next screen click on the Start button to start the process of unlock screen. Connect your phone with computer and dr.fone - Unlock (Android) will detect it automatically. Now you need to enter in the download mode on your phone. Follow these steps to enter. You need to press volume down button + home and power button together now. Now press volume up key to enter in the download mode of your phone. 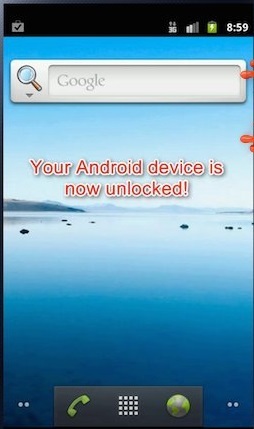 dr.fone - Unlock (Android) will start downloading of recovery package to remove lock screen form your android mobile. Wait for some time until it’s complete. 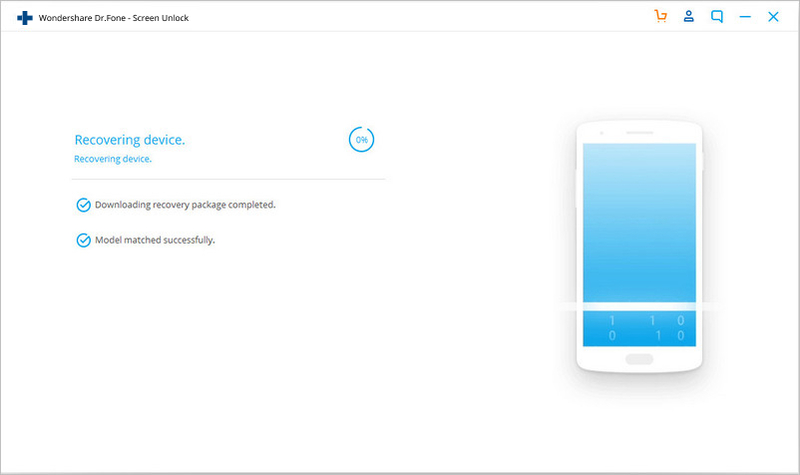 Once recovery package is downloaded it will unlock your phone automatically. Now you can access your phone easily without any problem and without losing any data. Users can unlock their lock screen with android lock screen bypass app this app enable you to unlock your android phone. You can use it by paying 4.99$. but the problem is that this app will only work when your device is already unlocked you can’t use it when it is locked. It means that it can help you to clear password and reset it again only you can’t use it for an locked phone. This application mostly work for all android users but we don’t take guarantee that it will work for your or not. You must need internet while using this method. Download and install lock screen bypass app by running it on your laptop from Google play store on your android device which is locked. You need to install application on your mobile remotely now. Once it is started installing app once installing icon you will see on mobile. After finishing installation of application you will see application installed icon your mobile. 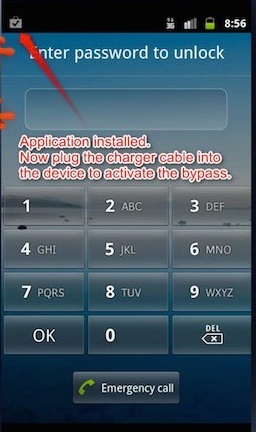 Now you need to plug your charge with your android phone to activate and watch lock screen on your android phone and to activate lock screen bypass pro application. Once your charger is connected you need to click on activate button. This button will automatically comes on the mobile screen after connecting charger. When you click on the Activate button your application will be activated successfully. After clicking on activate click on Remove lock Screen Password to unlock your phone. Now it will remove password from your phone and unlock it. You will see home screen of your device now on your mobile. We have discussed 3 different way above to unlock locked screen of android mobiles all these three methods will work for you but there are some difference in every method. If you follow first method that is resetting your phone then you will lose everything on your phone and the second the method will help you to unlock your phone screen without losing a single file from your android phone and the third way is no reliable because it don’t work on all android devices. So finally we can say android lock screen removal software from Wondershare is the best choice for you to unlock your phone screen when question comes in your mind locked out my phone and how I can unlock it without losing data now. How to Reset A Samsung Phone That's Locked? 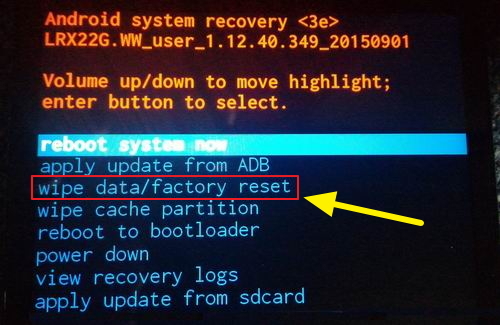 Want to reset your Samsung phone but it's been locked? In this post, we will introduce 2 two easiest way to reset your locked Samsung phone quickly. How to Bypass Android Lock Screen Using Emergency Call? Know how to Bypass the Android Lock Screen effortlessly with either the aid of Emergency Call in 8 easy steps or utilization of an effective software. Learn how to lock apps on iPhone by following this comprehensive tutorial. We have listed four different solutions to app lock iPhone in a stepwise manner. Learn how to reset iPad without password or passcode in this informative post. We have provided stepwise solutions to reset iPad without passcode or password. 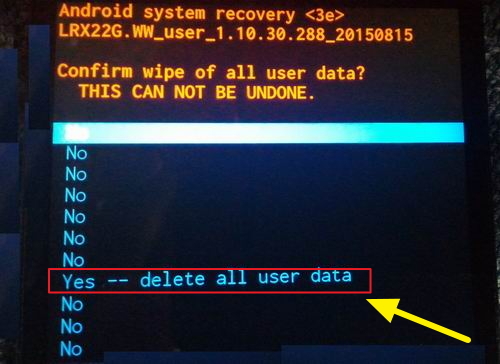 Is the screen of your locked Android device broken? Here's how you can easily unlock an Android phone even if the screen is broken.